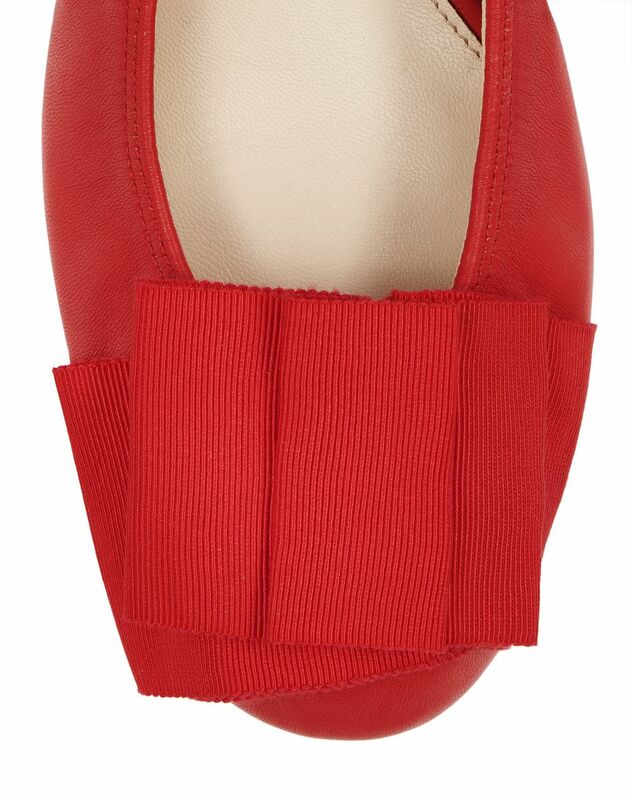 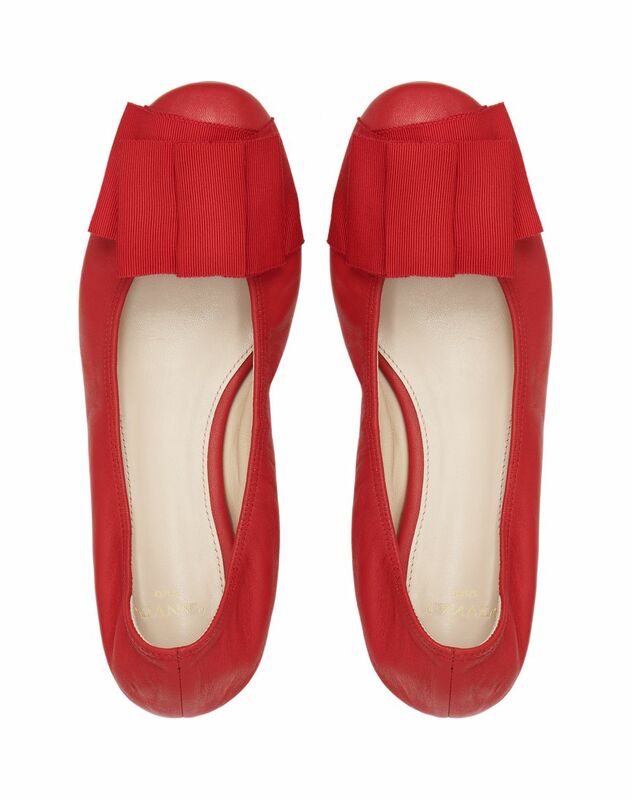 Ballet flat in poppy-colored lambskin leather, elasticated with tone-on-tone topstitching, cap toe topped with poppy-colored grosgrain ribbon bow and beige insole with gold "Lanvin" logo. 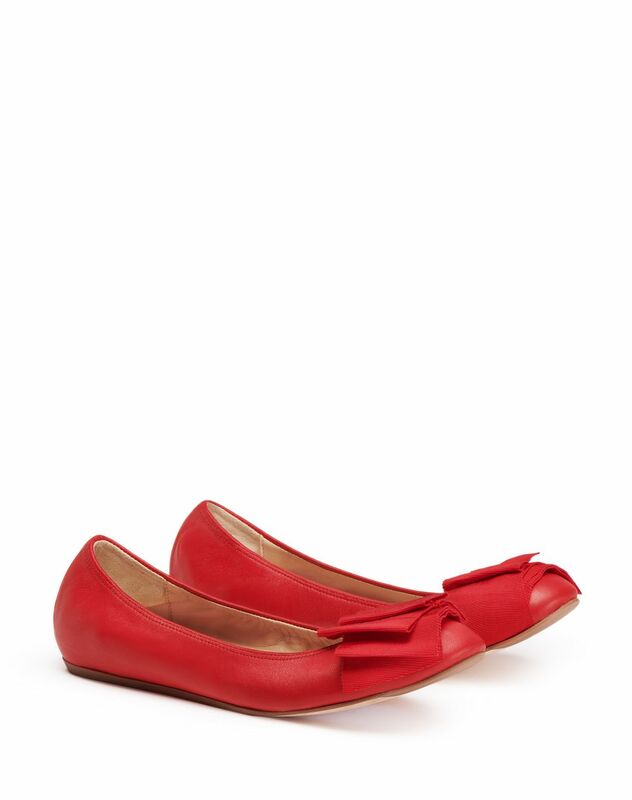 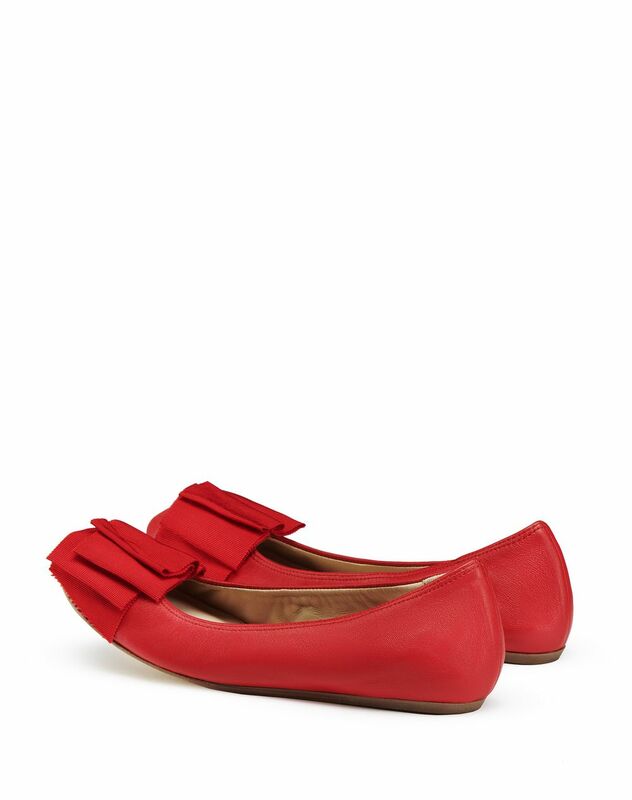 A must-have in any wardrobe, this lambskin leather ballet flat stands out for its grosgrain ribbon bow and bright color for a sophisticated and feminine look. 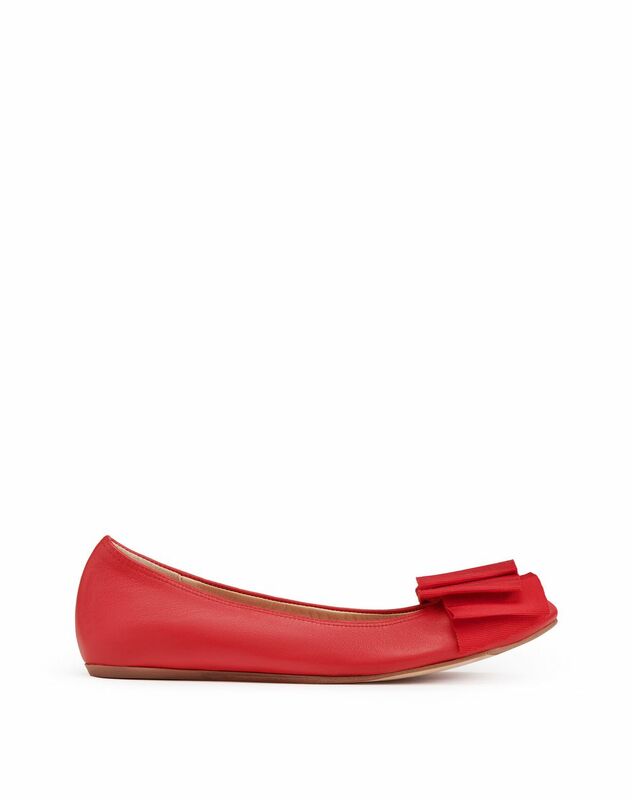 A Lanvin iconic classic, this model combines comfort and expertise.